Event Décor Direct is proud to be Massachusetts's #1 "Customer's Choice" supplier of professional wedding and event décor and supplies. Many of Massachusetts’s premier wedding planners, décor companies, and decorators trust us to deliver with top-quality, luxurious, yet competitively-priced wedding decorations to make their clients' special day one to truly remember, and stun guests with their uniqueness. 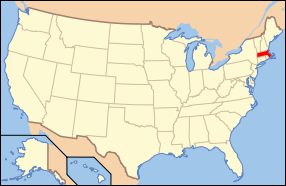 Other types of customers served by Event Décor Direct in Massachusetts include event and expo centers, hotels, fine dining establishments, nightclubs and other small businesses, stage companies and theater troupes, schools and more. 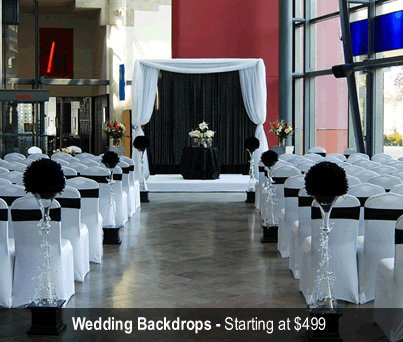 Wedding Backdrops – If you going to have or plan a wedding in Massachusetts, a wedding backdrop is essential. We have wedding backdrop kits, from elegant paneling to Greek columns, that will ensure that your Massachusetts wedding will never be forgotten. Backdrop Lighting – Our wedding backdrops look incredible in any light, but to make them absolutely stunning, you’ll need some professional backdrop lighting. 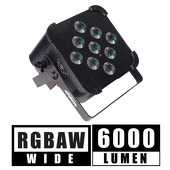 We have a full range of professional backdrop lighting solutions from basic par cans to LED bars. The LED products provide any color in the rainbow with the touch of a button and are perfect for your Massachusetts wedding or event. Crystal Décor – Bring the glamor of a Hollywood TV show or wedding to your Massachusetts wedding or event with our crystal décor products. From acrylic ornamental drops to delicate crystal branches and crystals by the roll, our crystal décor products are a must-have for your Massachusetts wedding. Chandeliers – Our acrylic crystal chandeliers bring a touch of class that is perfect for window displays, weddings, restaurants, event venues and so much more in Massachusetts. Crystal Curtains – Our crystal curtains come in a wide variety of shapes and sizes, from small 6-foot curtains for doorways to huge 20ft crystal curtains for wedding backdrops. We are Massachusetts’s #1 source for crystal curtains. LED Decorations – From LED crystal trees to stunning lighted garlands and glowing, LED-laden crystal curtains, we have a huge selection of LED décor at just the price for your event in Massachusetts. Candles – We carry a vast selection of candles and candle décor that is perfect for your wedding or event in Massachusetts. If you want an elegant look, we have brushed steel and glass candle holders. We also carry pillar candles, bulk candles, floating candles, smart candles and more at a price that is just right for your wedding or event. Ceiling Draping – One of the best ways to make your Massachusetts wedding unique is to use one of our ceiling draping kits. These full kits are designed with your Massachusetts wedding in mind and will take your guests' breath away. 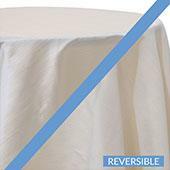 Chair Covers – Event Décor Direct carries a wide range of chair covers, from universal-fit chameleon wrap, to satin, polyester flex and lycra. 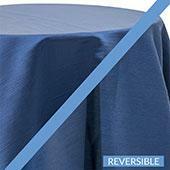 Event Décor Direct is Massachusetts’s source for premium-quality chair covers at an unbeatable price. 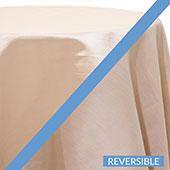 Event Linens & Drapes – We offer an enormous selection of linens and drapes at an affordable price. 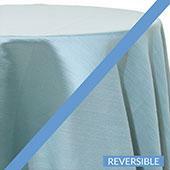 Our valences and sheer drapes are especially popular in Massachusetts. Pipe and Drape – If you are looking to set up a pipe and drape system at your event, our complete pipe and drape kits are a necessity. 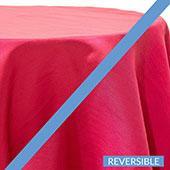 Our top-quality pipe and drape kits include everything you need to create a wall of draping. Our clients in Massachusetts say that these are great for backdrops at trade shows, weddings, meetings, school functions and more.